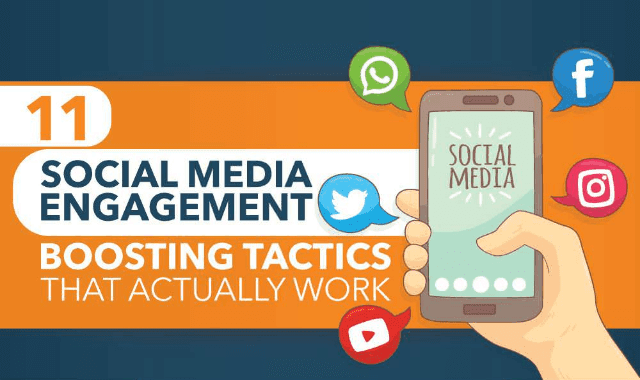 11 Social Media Engagement Boosting Tactics That Actually Work #Infographic ~ Visualistan '+g+"
For brands, social media engagement is just like having a car without tires. Everything is perfect, the engine, the gears, but still you’re not able to reach your destination. So, what exactly is the problem? Social media is just like a long-term relationship. The loyal and committed relationship establish trust among the consumers. And this trust is necessary for business. Improving social media engagement takes a lot of time and efforts. In this digital age, you need to find your niche and target them wisely.